The front door. This building was not built to code and you kind of have to crawl in. 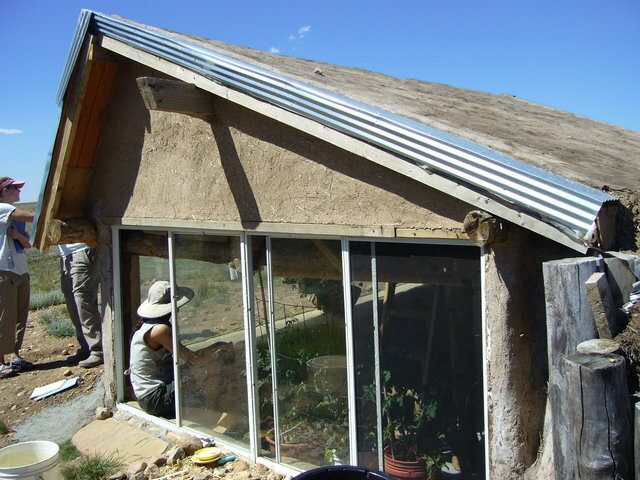 The straw-bale house and the earthship in progress both follow the building code and are properly inspected, etc.